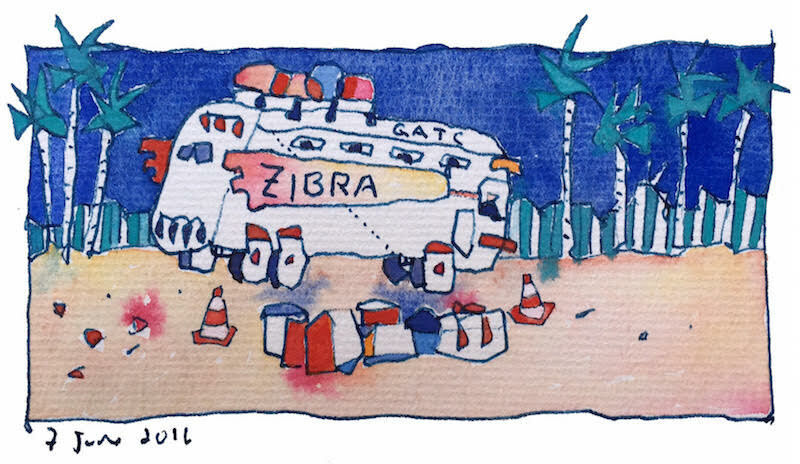 ZiBRA bus watercolour by Matthew Cotten. The Zibra project are aiming to sequence a thousand genomes from Brazil to provide important epidemiological information about the spread of this disease in Brazil. We are an international group of scientists who will employ a fully-equipped sequencing trailer during a road trip in May and June 2016 to do sequencing.